Sometimes it can be difficult to achieve the look we are wanting in our homes when the pieces we are lusting over are way over 'budget'. I love finding items that have a great classic look but are affordable and won't break the bank for a budget savy lady. Well let's be honest here, I try to be a good budget person but sometimes I struggle as I'm sure everyone does. Today's GTLFL is great because let me just say I have loved Crate and Barrel's legendary "Petrie Sofa" for years. However with two young boys that seem to get peanut butter and jelly on everything spending $2499.00 plus tax and shipping on a sofa isn't in the cards. 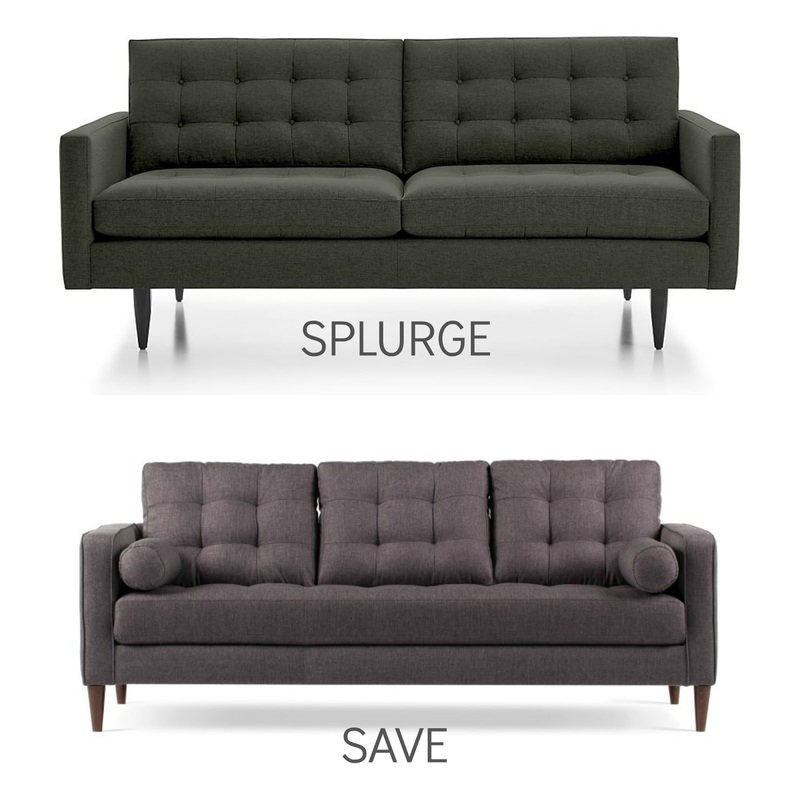 Enter today's 'Save' option- Structube's "Romeo Sofa". This sofa is so beautiful and although it's not an exact match style wise to the Petrie, at $899.99 it's pretty darn close for a fraction of the cost. It's always nice finding items that have a great look, are comfortable for lounging but also affordable.